Are you sick and tired of manually entering business card details in Nimble? Us too! This update features our all-new Business Card Scanner, powered by our integration with CircleBack. Now, you may take a photo of any business card with the Nimble app and we’ll auto-populate that information in a new contact record. The Nimble Business Card Scanner is a feature of our iOS application. By photographing a business card, Nimble will collect the name, title, company, email, address, and phone numbers to make it easy to create contact records from your mobile phone. Our Android card scanner is now available! International phone numbers may provide issues. Step 1 - Add the Nimble App to your iOS device from the App Store. 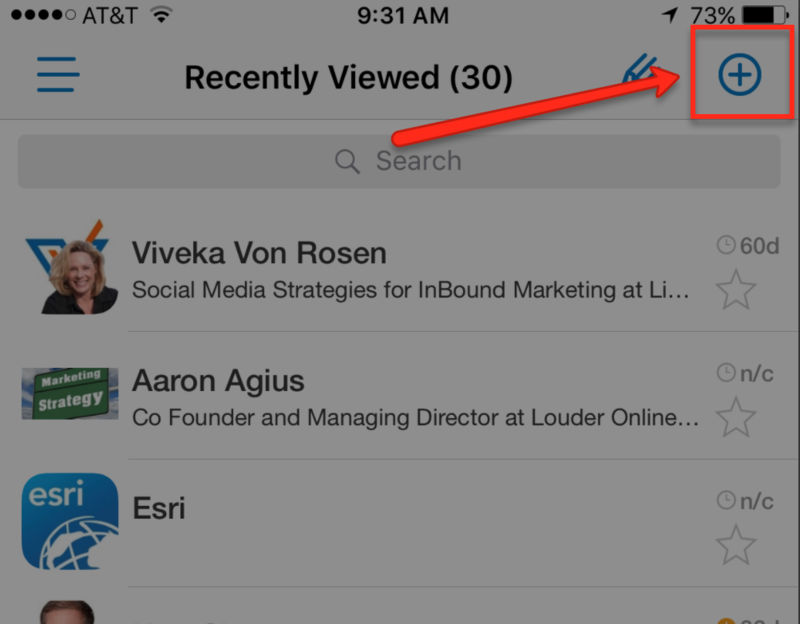 Step 2 - On the Contacts tab, select the plus (+) icon to create a new contact. Step 3 - After selecting the ( + ) icon, you'll be asked to "Scan Business Card" to open the photo card scanner. Step 4 - Find a business card and place it on a flat, well-lit surface. Just like scanning a check, you'll want to line up the card straight within the card scanner viewfinder. Step 5 - Confirm your photo and select "OK" to start the contact creation process. Step 6 - Edit contact details. Since business cards vary in how they display email and phone numbers, you will need to designate each phone number and email address from the "Other" descriptor. Once you're happy with the saved details, select "Add" to save your contact. Voila! You've scanned a business card to create a contact record! What if I have a portrait-layout (vertical) business card? Not everyone hands out business cards in the standard landscape layout. For cases where a business card is in a portrait (vertical) layout, scan the card in "Manual" mode while holding the phone horizontally in landscape mode.